I could make a ton of money with my PA system if only I knew how it all worked. 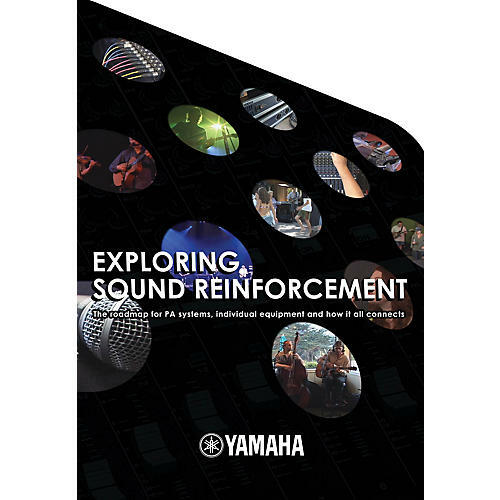 Exploring Sound Reinforcement is produced by Keyfax NewMedia in conjunction with Yamaha Corporation of America and looks at all aspects of buying, assembling, and operating sound reinforcement systems. Starting with the individual pieces of equipment, Exploring Sound Reinforcement looks at microphones, mixers, power amplifiers, loudspeakers, and effects, and explains the crucial features and options in logical 'signal-flow' style. Whatever your role in music, from a teacher, to a student, to a band member, to a club owner, to a trainee sound engineer, Exploring Sound Reinforcement will guide you through the maze using simple terminology, and in great style. Be heartened by the fact that nobody knows everything. Key sections include: The equipment, putting it all together, setting up, soundcheck, monitoring, live applications and troubleshooting.